Kisan Mukti Yatra led by the Swaraj Abhiyan had started on July 6 from Mandsaur in Madhya Pradesh and has covered six states so far. New Delhi: A 'Kisan Mukti Yatra' led by the Swaraj Abhiyan, that kicked-off a fortnight ago, today reached the national capital where scores of peasants, activists and a few political leaders gathered in solidarity for the cause of the farmers. The yatra had started on July 6 from Mandsaur in Madhya Pradesh and has covered six states so far. 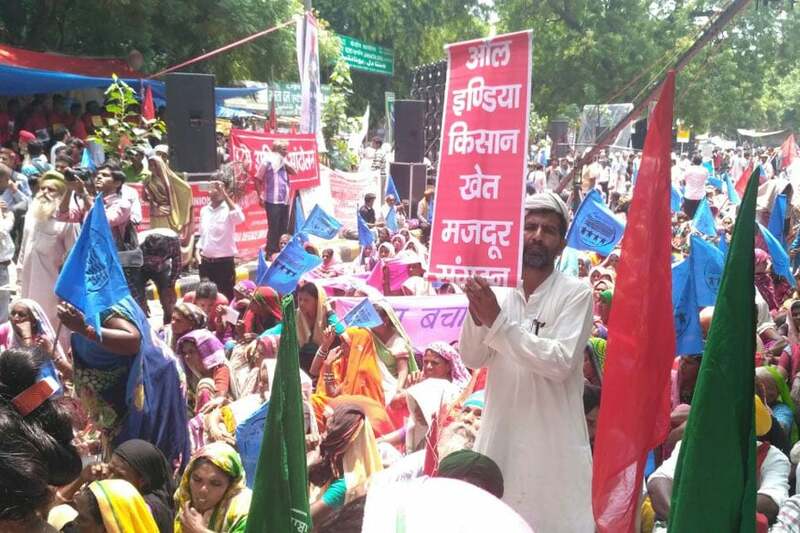 At the city's Jantar Mantar area, farmers from all parts of the country, "made two specific demands -- farming be made remunerative and farmers be made debt-free," Swaraj Abhiyan said in a statement. The agitating farmers also "questioned the silence" of Prime Minister Narendra Modi over the Mandsaur shootings, it said. "I campaigned for Narendra Modi, I supported him, only because he promised to waive off loans of farmers but later his government in the Supreme Court gave an affidavit claiming that waiving off farm loans is not possible. I want to ask him that if this was not possible, why did he make this promise to me and in his election manifesto, to the people of this country," said Member of Parliament, Raju Shetti. Farmers of Tamil Nadu who have relaunched their agitation also joined the agitation under the leadership of Aiyyakannu. On the other hand, the children of farmers from Maharashtra, who have committed suicide performed a skit at the venue to bring attention to their plight, the Abhiyan said. CPI(M) General Secretary Sitaram Yechury said, "Along with you, I take the pledge to fight for the rights of farmers and I promise you that I am going to take this fight to Parliament." Senior advocate Prashant Bhushan, in his address, alleged, "The government is deliberately designing policies that are anti-farmer and pro-corporate. The govt is supporting products such as GM mustard which are designed to benefit the corporate and destroy the farmers as well their farming." Swaraj Abhiyan leader Yogendra Yadav said "It is not the farmers who are under debt in this country but the country that is indebted to farmers". 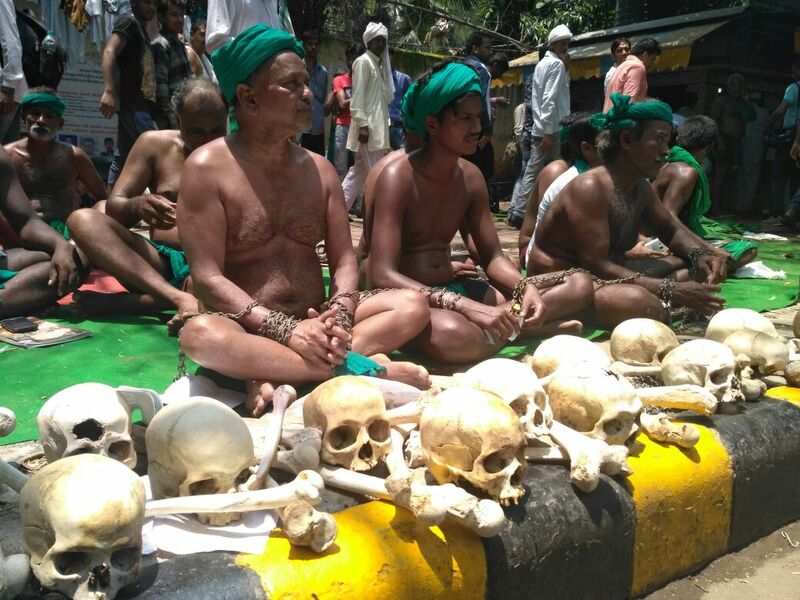 Convener of All India Kisan Sangarsh Coordination Committee, V M Singh, said, "This is not just a fight of farmers but of all citizens of this country. Why should a farmer, despite feeding the whole country, be unable to feed his own family."